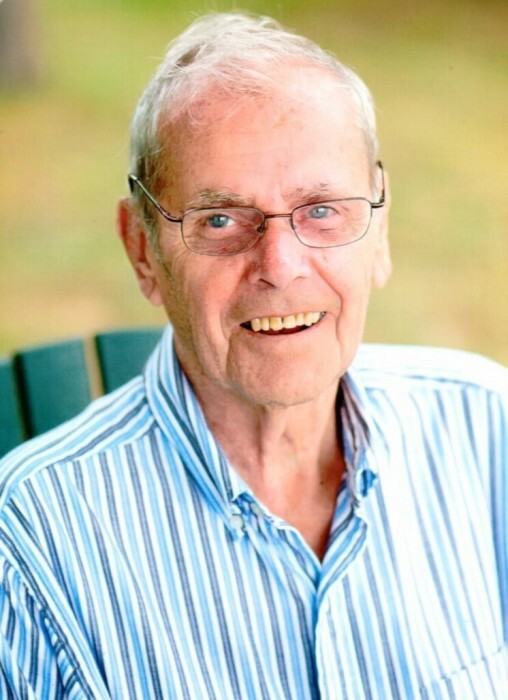 Ronald D. Giles, 83 of Jefferson, passed away peacefully on Sunday, November 25, 2018 at Rainbow Hospice Inpatient Center from complications of dementia. He was born on August 16, 1935 to parents V. Leslie and Ruth (Miles) Giles of Evansville, WI. Ron graduated from Evansville High School in 1954. Ron enlisted and served in the Unites States Army in 1955-1956. He helped patrol the DMZ in Korea. He married Rita Dahlke in Westfield, WI in 1959. After their marriage, they moved to Jefferson. Ron attended MATC in Madison and completed his four-year apprenticeship for painting and decorating with Klein-Dickert Co. of Madison. He was a sought-after paper hanger, in Madison and surrounding areas, because of his meticulous work. Ron retired from Klein-Dickert Co. after forty years. Ron especially enjoyed being with his family at their cottage on Pleasant Lake, Coloma, WI. He and his son hunted together for many years and that was a special time for both of them. Ron had a concern for others and was generous with his time, helping whenever possible. He suffered from dementia during his last several years. Throughout that period, he maintained an agreeable and pleasant personality. His family was blessed with that. Ron was fortunate to be able to attend wonderful, respite day programs in Lake Mills, Fort Atkinson, and Jefferson. He enjoyed his new circle of friends. Ron is survived by: his wife, Rita; daughter Suzanne (Paul) Triezenberg; four grandchildren; one sister and other relatives and friends. Preceding him in death were his son, Randy (2014) and three siblings. A memorial gathering and reception will be held from 1:00PM – 4:00PM on Saturday, December 1, 2018 at Olsen-Gibson Funeral Home of Jefferson. There will be no formal memorial service. Military Honors will take place at 4:00PM at the funeral home. If you wish to make a donation in Ron’s name, the family suggests Tomorrow’s Hope or Rainbow Hospice, both of Jefferson. The family wishes to thank Rainbow Hospice for their caring staff and peaceful setting for Ron’s final days.